Did 2015 make us more climate wise? Climate influences our lives in many ways—right from dictating what we wear to what we consume, but surprisingly it never features in our day-to-day consciousness. This is just so until and unless we get a jolt and then sit back and think what is really wrong about our world. 2015 was one such year which fuelled climate actions for a better, more sustainable future. For the first time, world leaders reached a consensus on a climate change mitigation plan (CoP 21). However, more than all this 2015 actually made us sit up and take notice. Seasons are just the way they are and climate is just how it is seems to be the general statement. This seemingly safe assumption is gradually changing, and for this, history books can have last year to thank for. In 2015, weather records were broken left, right and centre all over the world. The world witnessed cold waves, heat waves, droughts, cyclones and floods which affected food security in Ethiopia and Central America. El Niño, a complex weather phenomenon associated with sea surface temperature rise was the “it” factor last year. This year is supposed to be even hotter with the El Niño reaching its peak. 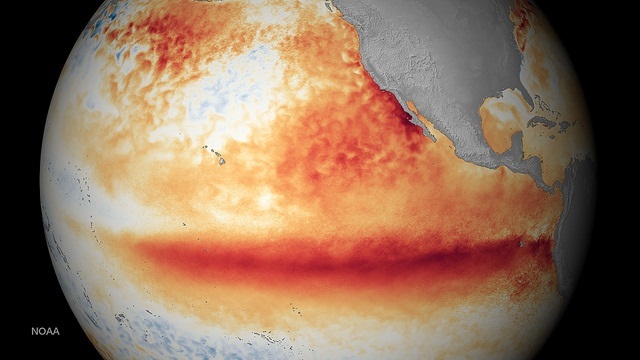 Is El Niño the only devil? Though El Niño was a significant factor in determining extreme weather events last year, over reliance on this sole factor will not do to solve our problems. Temperature rise has happened since 2000 with 15 of the 16 hottest years on record having occurred over this period. This goes on to show the overall increase in global temperatures (that have contributed to a stronger El Niño), heat sequestering in the oceans and rapidly rising sea levels. El Niño phases occur once in every two to seven years and have been spoken about for over 40 years now. Yet, never before has the world witnessed the kind of global disturbances that 2015 saw. Resting on the “strongest El Niño till now” argument to explain 2015’s weather extremes is being both short-sighted and counterproductive. While various studies and research papers project catastrophic and apocalyptic situations 50 or even 100 years from now, the reality remains that apocalypse does not happen overnight as shown in movies, but as a gradual process that can span over centuries. What we need to address right now is not how El Niño contributes to “freak weather” events, but how humanity is responsible for violent shifts in weather patterns. Here is a list of “abnormal” weather events that the world witnessed recently. After a deficient summer monsoon, winter in northern India was also suppressed and delayed. Average temperatures in the region have stayed up to 8 degrees Celsius above normal as cold refused to set in till January. 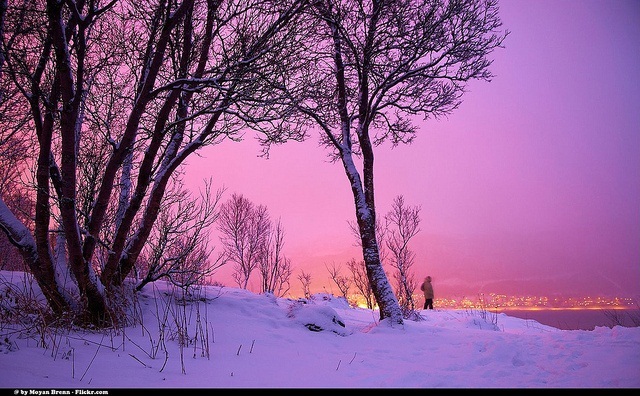 Scientists believe this can be one of the warmest winters North India has ever experienced. Usually, winters are driven by powerful Westerlies which move from west to east in the mid-latitudes (30-60 degrees latitude). This year the Westerlies shifted northwards, out of the Indian sub-continent due to the development of a strong, warm and dry anti-cyclone which is usually located south of the Indian peninsula. Another thing that played the spoilsport was Jet streams which operate around the same latitude and in the same direction as that of Westerlies, but at higher altitudes. While they are usually found north of the Indian landmass, this winter they were found unusually to the south aligned with the Himalayan foothills and the Indo-Gangetic plains. These two factors made sure that winter temperatures across northern India remain much above normal. With a northward shift of the Jet streams in January, temperatures dipped. The not-so-cold winter in North India is not an isolated incident. The weak Westerlies are also an outcome of the weak winters in the west. Global air flows are dictated by pressure differentials, which are in turn, influenced by temperature differences. European winters this year have also been weird. Winters across Europe are greatly influenced by the North Atlantic Oscillation—an index of the pressure differential between Iceland and the Azores in Portugal. A strong positive index through November and December meant that this will be the warmest winter on record for several European countries. With temperatures more characteristic of April or May, warmer winters brought three successive floods in the UK, unseasonal blooming of daffodils, cherry blossoms and strawberries as well as wildfires in southern Spain. The storm which wreaked havoc in December end in the UK (Storm Frank) later merged with two other cyclonic systems to form a bomb cyclone in the North Atlantic that pushed temperatures in the North Pole 10 degrees Celsius above normal and the average temperature above melting point in December for the first time ever. A warm December was followed by a cold January in Europe as the North Atlantic Oscillation (NAO) read negative. Although meteorologists predicted a frigid second half of the winter season, NAO predictions indicate another spell of warm weather in February. Crop production across the continent dwindled as eastern and southern parts witnessed long drought spells. 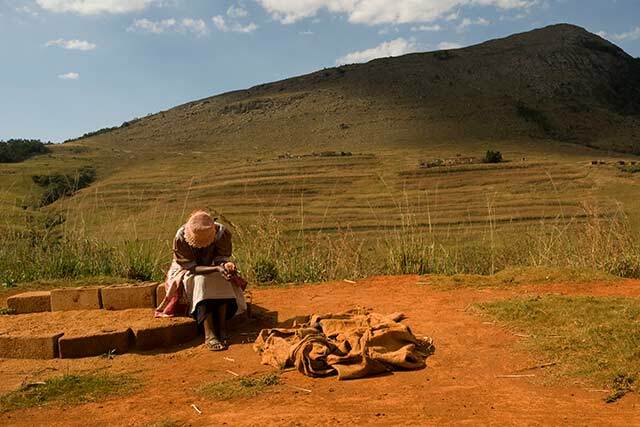 Southern Africa was hit by one of the most severe drought in over 100 years, according to news reports. Aided by a strong El Niño, 32 temperature records were broken in 2015-16 according to the national weather service in South Africa. Similar stories of crippling drought were witnessed in Zimbabwe, Zambia, Botswana and Tanzania. Over 20 million people are battling severe food insecurity as dry conditions have prevailed for over two years in Somaliland, Ethiopia and South Sudan. December was uncomfortably hot in Australia. The country, especially the south-eastern region, grappled with an intense heat wave around mid-December. For the first time, temperatures in Adelaide breached the 40 degrees Celsius mark on four consecutive days. It is extremely unusual for a heat wave to occur in December when systems tend to form more gradually and are more stable. Heat waves are usually seen later in the season in January and February. A strong El Niño triggered massive flooding across South America in December 2015. Though the equatorial regions of Latin America were expected to receive increased precipitation, the intensity of rainfall took everyone by surprise. The flooding was caused by a series of storms that ravaged parts of Brazil, Argentina, Paraguay and Uruguay. Over 160,000 people were reported to have been displaced in what is being known as the worst natural disaster in more than 50 years. This time winter in the US has been a roller coaster ride. Between November and January, the weather in the country was turned upside down. From record-setting warmth in the usually frigid north to 3 feet of snow in the south, the US saw it all this winter. The warm and wet first half, after bringing tornadoes, storms and floods to different parts of the country, gave way to a frigid blast in the second half as the third week of January saw a historic blizzard ripping across North-Eastern USA. Kicked off by Hurricane Patricia, the strongest hurricane on record in the western hemisphere, this winter has seen intense storms and cyclonic activity north of the equator. 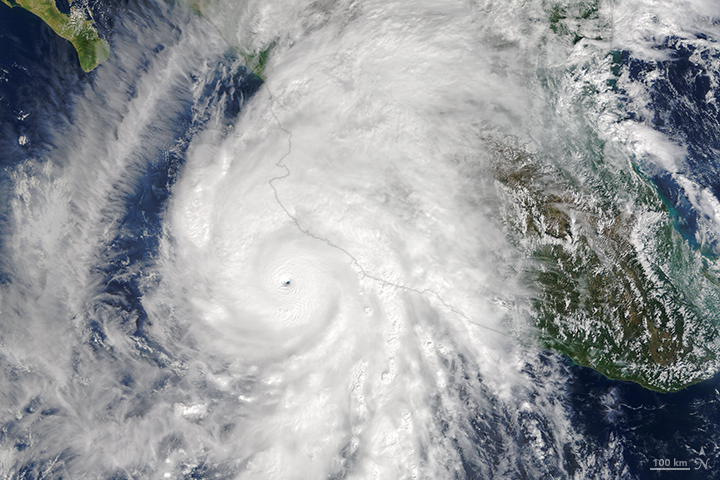 Patricia made its landfall in Mexico in October. Since then, severe storms and cyclones have been tracked across the oceanic systems in Asia, West Asia and Latin America. The unusual activity has continued into January. On January 7, Pali, the earliest Central Pacific storm was recorded south-west of Hawaii. Around the same time another unusual cyclonic system developed in the Atlantic Ocean. Sub-tropical storm Alex became the first Atlantic cyclonic system to form since 1938, representing an anomalous formation for the month of January which has only ever since witnessed three Atlantic cyclonic systems in January. Individual weather events are scarcely proof enough of climate change, but when taken together, the cluster of extreme weather events indicates climatic systems that are readjusting to global changes in temperatures that are being driven primarily not by a natural cyclic process of thermal circulation, but by pronounced human activity. According to scientists the El weather is not only causing weather extremes, but also exacerbating them. There is a consensus that even though climate change or global warming cannot be traced back to for every weather anomaly, freak weather events will become more frequent as global temperatures rise, experts say. While projections speak of 50 or 100 years from now on, the circumstantial evidence for climate change is in and the empirical evidence is there for all to see. We just need to pay attention. 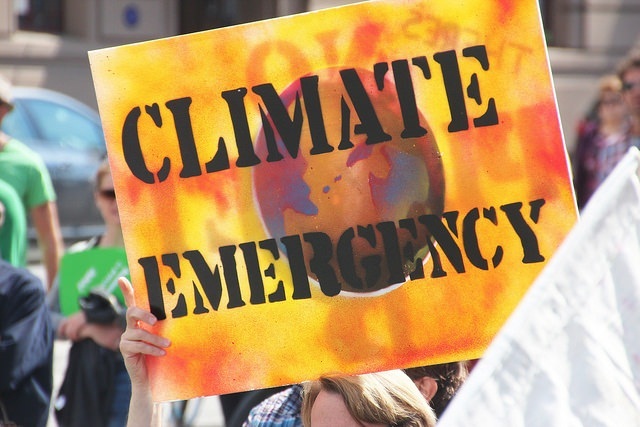 Will current INDCs prevent global temperature rise by more than 2°C? Climate change was there in the past and will be there in the future. The type of extreme events quoted in the article were occurred in the past also, even more severe events. -- hailstorms of tennis ball size occurred in UP in 1888. Based on the natural variability in precipitation, a principal component of climate change, I projected the wet and dry conditions, that have come true in Ethiopia, Southern Africa, Brazil. The US current blizzard -- blizzards also occurred in the past a list of them were reported. The 1888 was more severe than the present one. Same is the case with Chennai-Nellore floods. It is easy to say that 2015 something and will go on 2050, etc etc ----. This is unscientific way of stating scientific issues. May bethey give hype in media but not in scientific society. The only reason this is still speculative is because, as you pointed out, correlation is not causation. But it helps in making calculated guesses!